and offers an enjoyable atmosphere that is elegant yet casual. 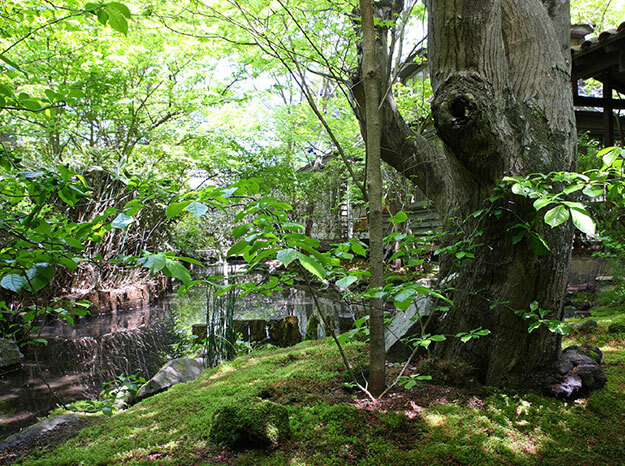 The courtyard, which reflects the colors of the four seasons, features a pond surrounded by velvety moss. and gaze at the glow of the fireflies in the summer as they flutter, dancing at night. 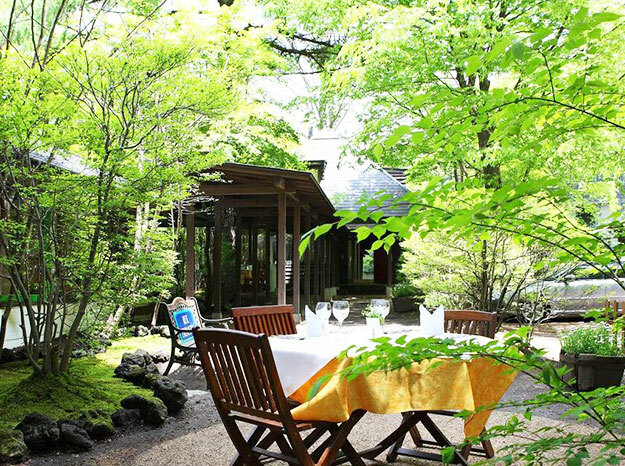 We also recommend the terrace seating, where Karuizawa's refreshing breeze sweeps through. This restaurant features Cave de Primavera, a wine cellar that can hold approximately 7,000 wine bottles. Appetizer, fish or meat, dessert, and coffee. Appetizer, fish, meat, dessert, and coffee. A 10% service fee is charged to the above prices. An extra charge may be applied to certain items. Amuse, appetizer, fish, palate freshener, meat, dessert, and coffee. With exquisite technique, Onuma, the owner chef, uses authentic ingredients and prepares each plate with passion and love. rare pork Chiyogenton, raised without antibiotics at the Okamoto Hog Farm in Iida City, Nagano, and seafood from Toyama, the Inakujira Port in Sado, and Katsuura in the Boso Peninsula. 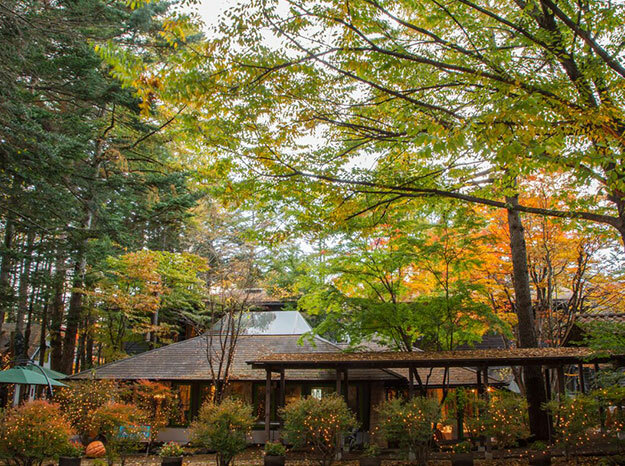 In the winter, Karuizawa is the place to enjoy gibier such as deer and boar brought from the local hunters. 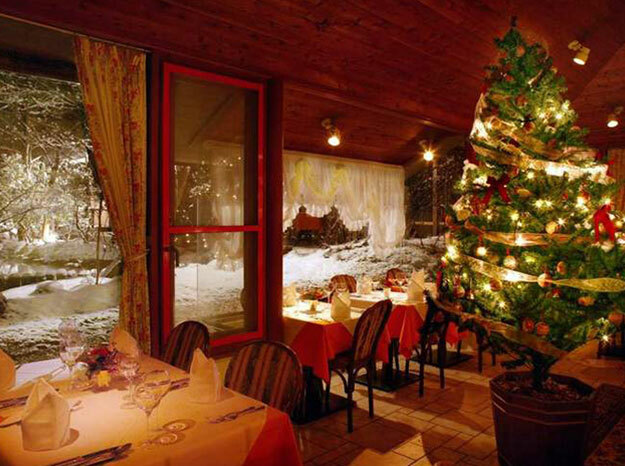 Enjoy flavorful, traditional French cuisine to your heart's content. in our wine cellar窶砺irtually a jewellery box. Mozart is played in our wine cellar,in which temperature and humidity are controlled completely. When overnight guests arrive at Primavera, and before the guests enjoy their dinner at Pyrﾃｩnﾃｩes, a sommelier will select a bottle just for you. Please ask the staff for wine choices based on the year of birthdays and anniversaries. is a gastronomical storehouse. A tradition of simple yet heartwarming cuisine has been passed on. Villages quietly stand as if protecting the Romanesque churches built with cut rocks and thick lumber. Encountering an anonymous restaurant there and seeing a block of baby pork that was being slowly roasted in a large fireplace, we discovered the origins of a cuisine long forgotten, characterized by simplicity.